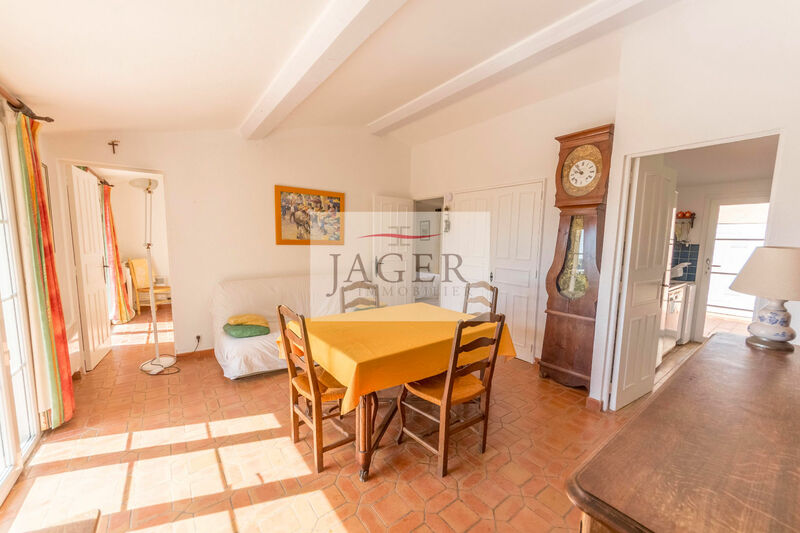 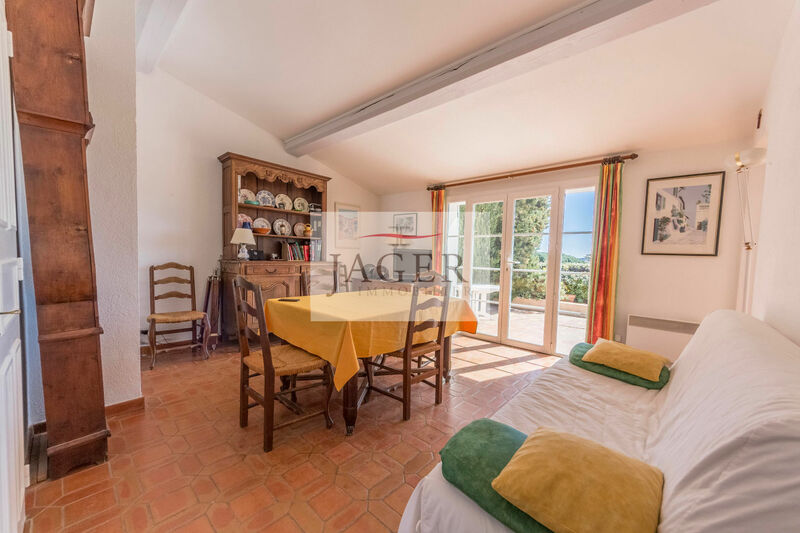 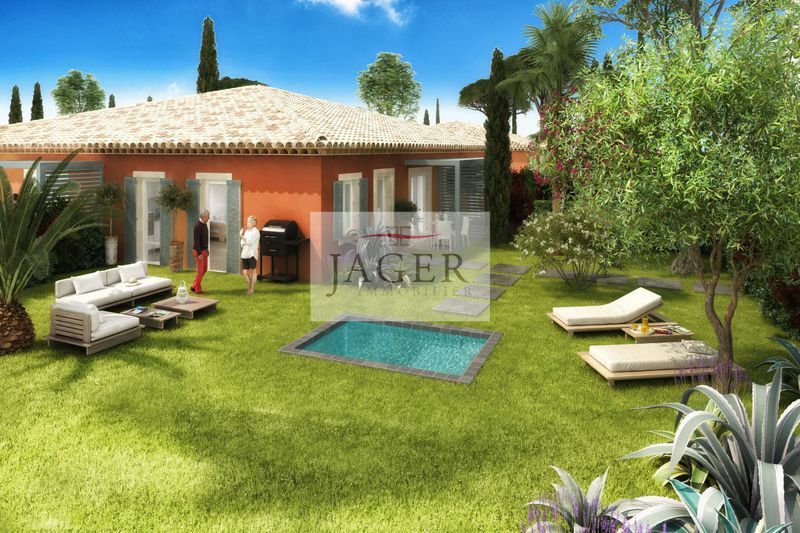 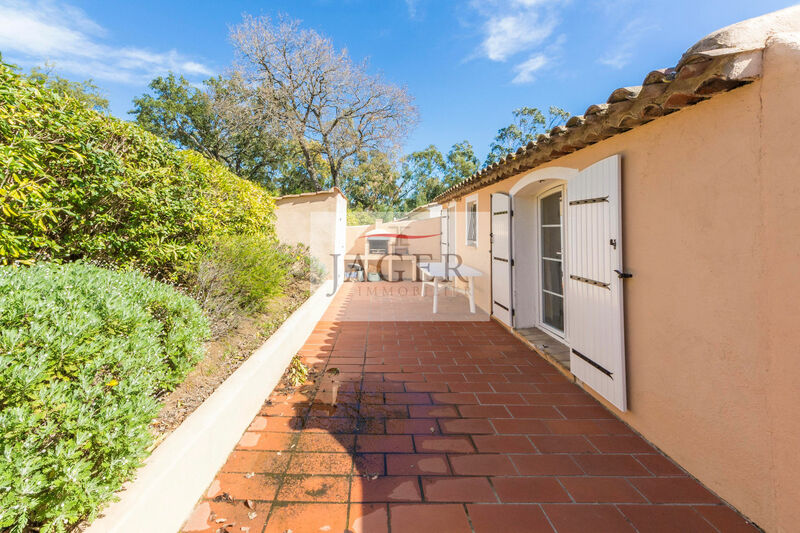 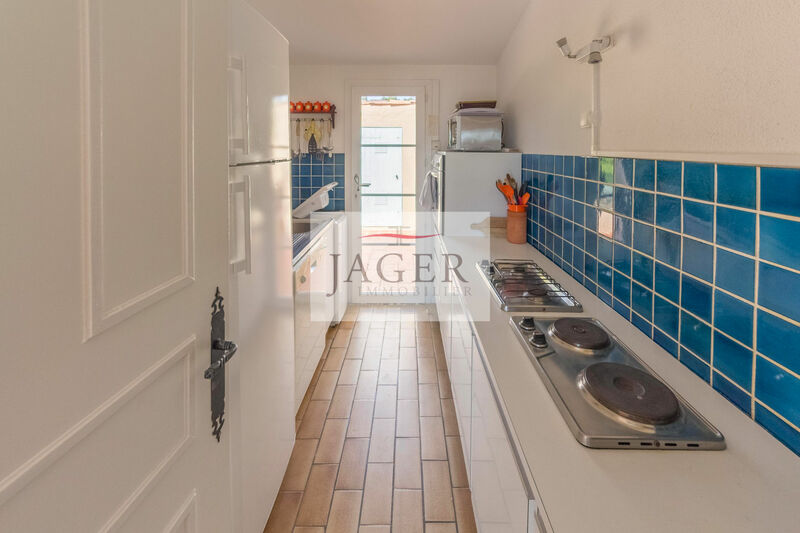 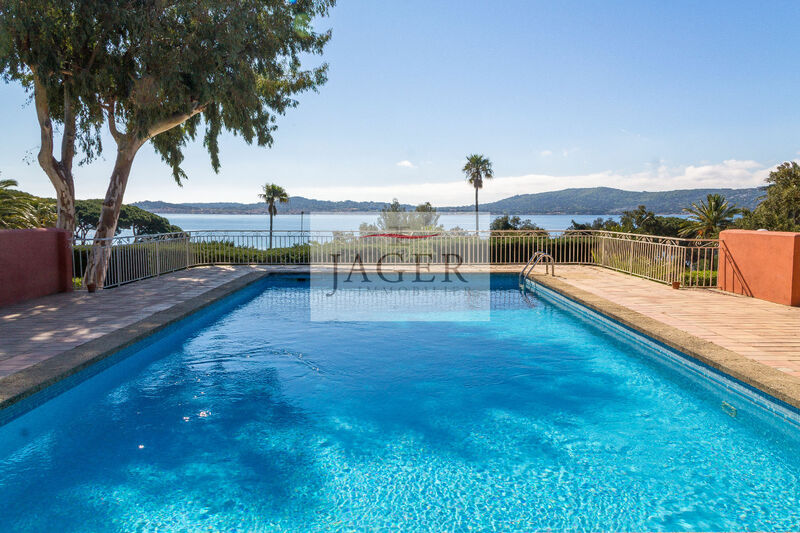 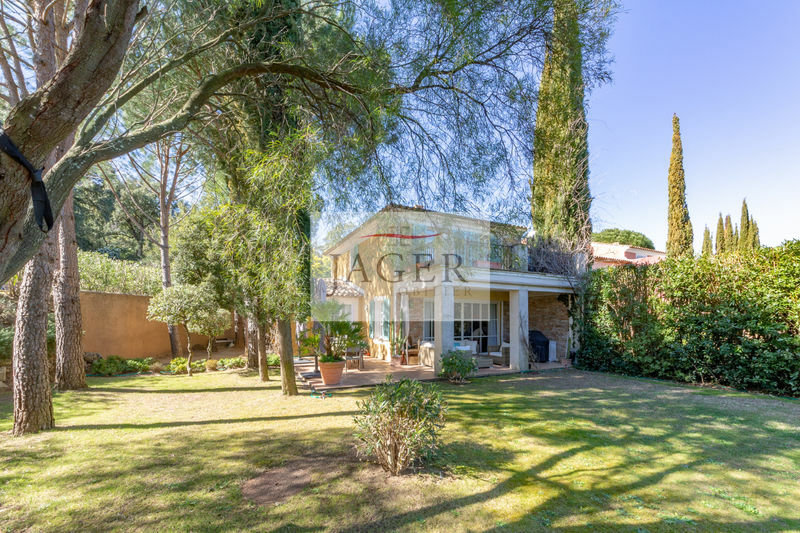 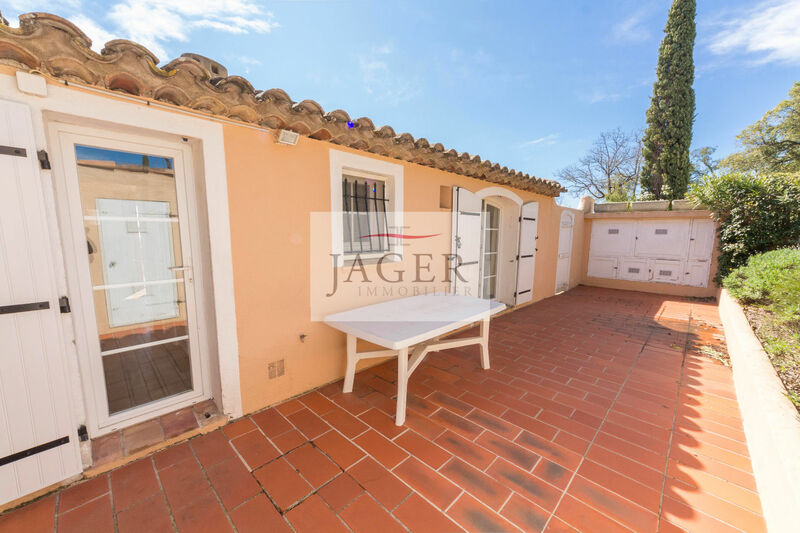 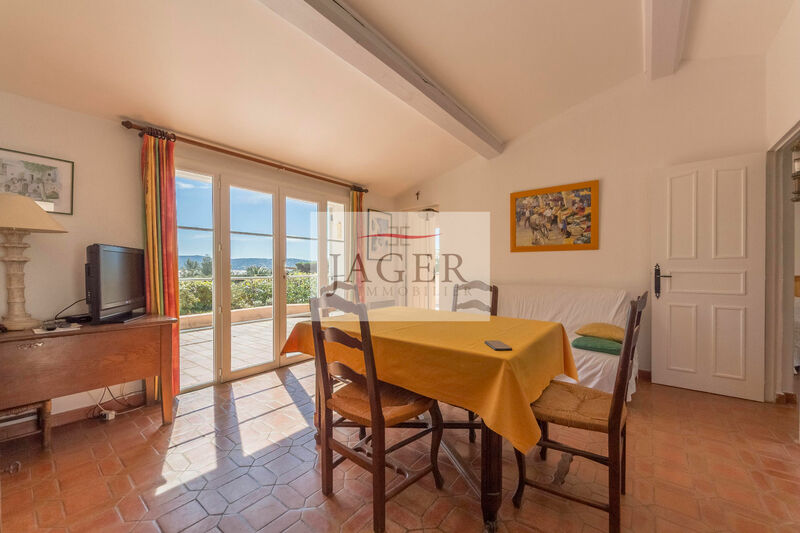 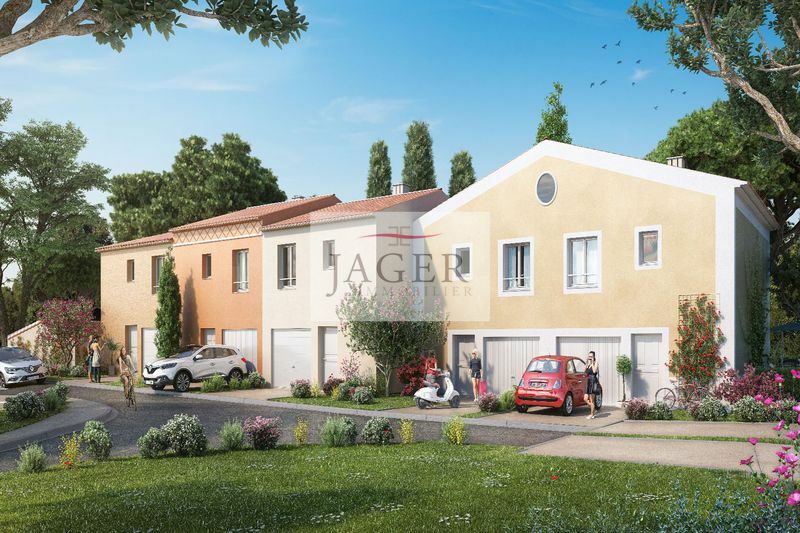 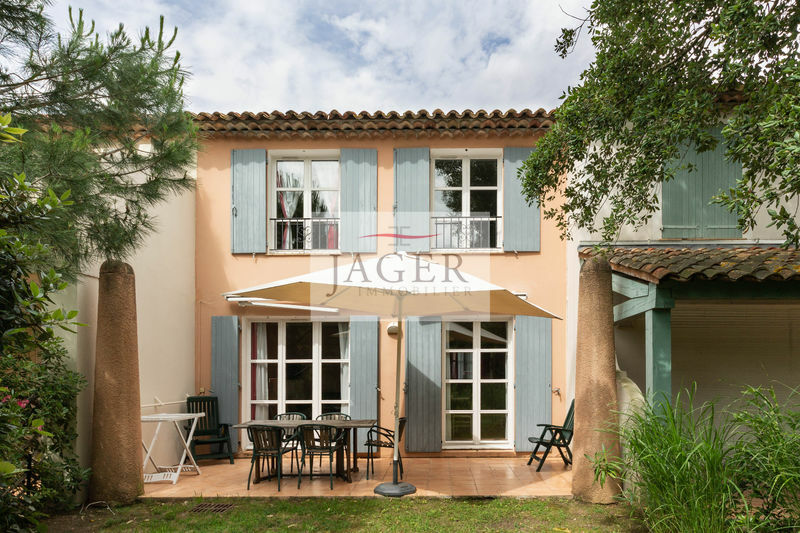 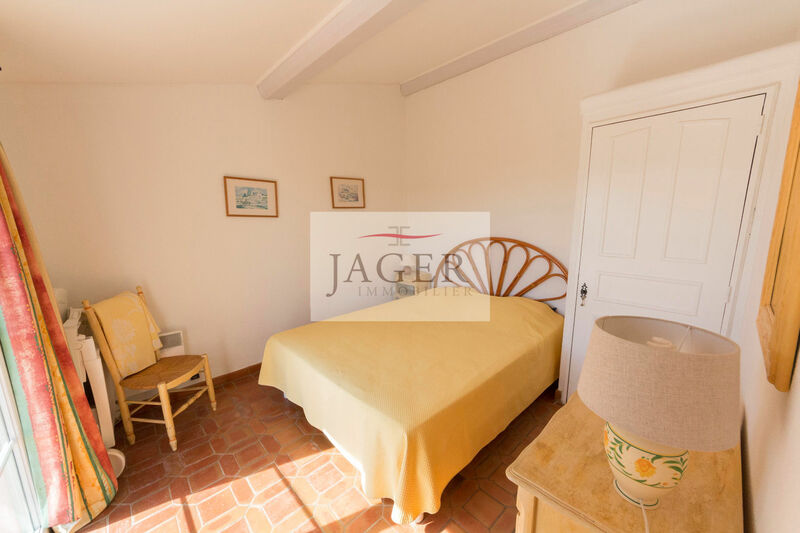 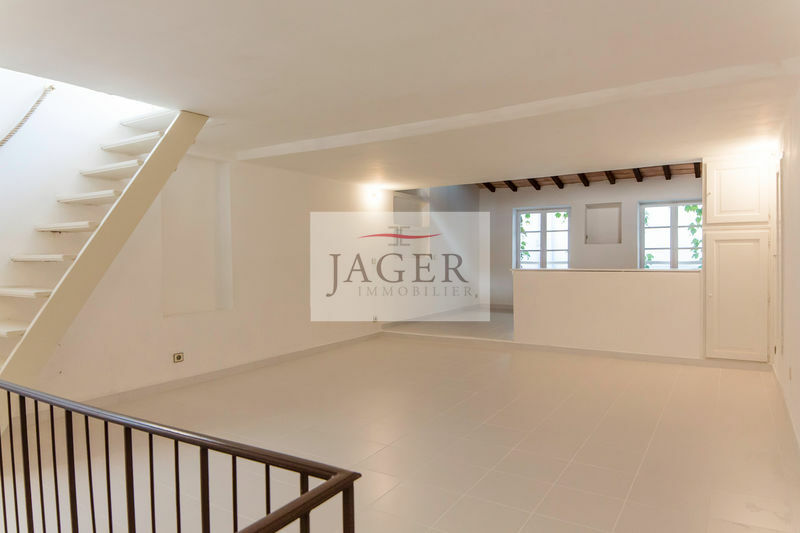 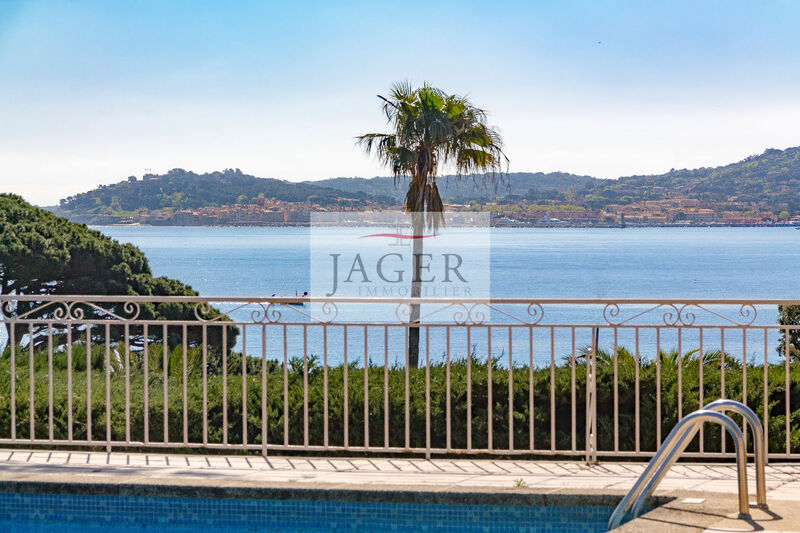 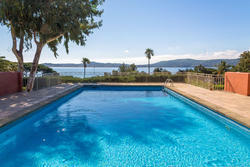 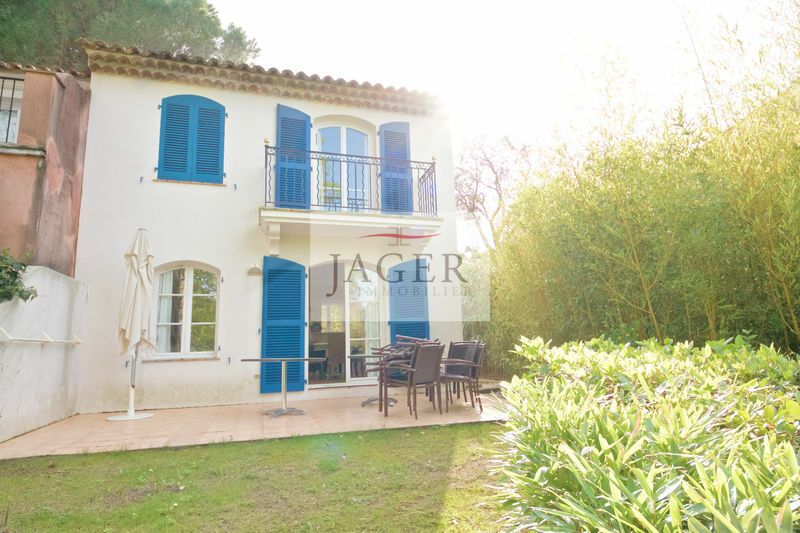 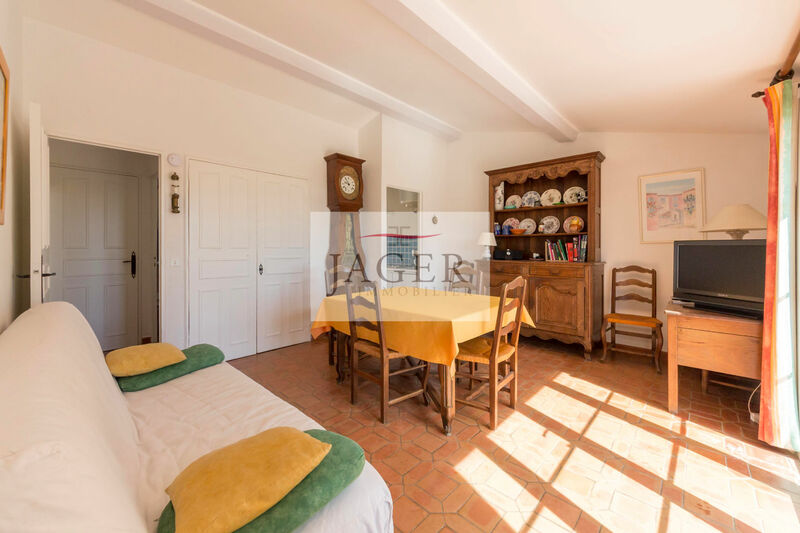 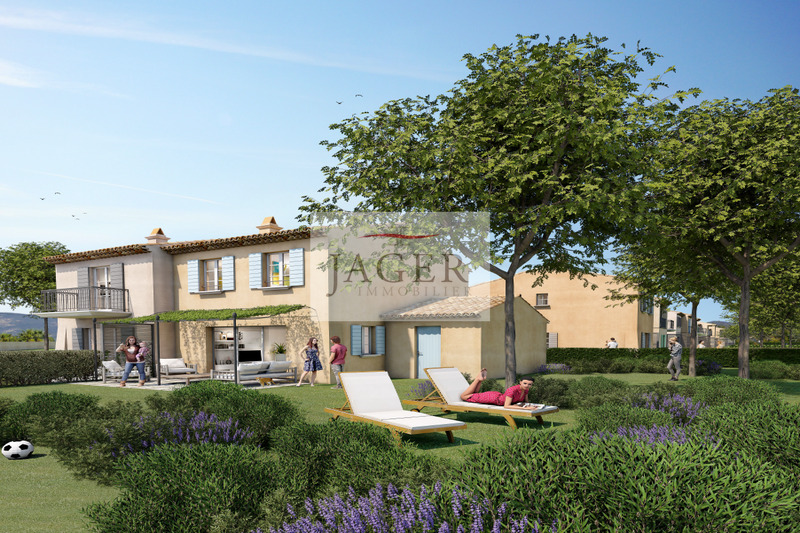 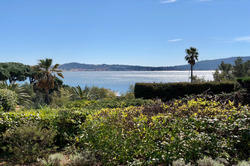 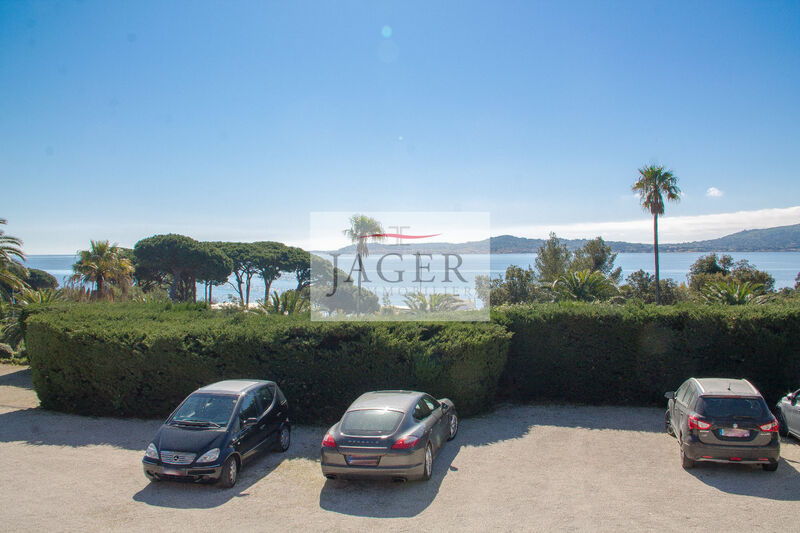 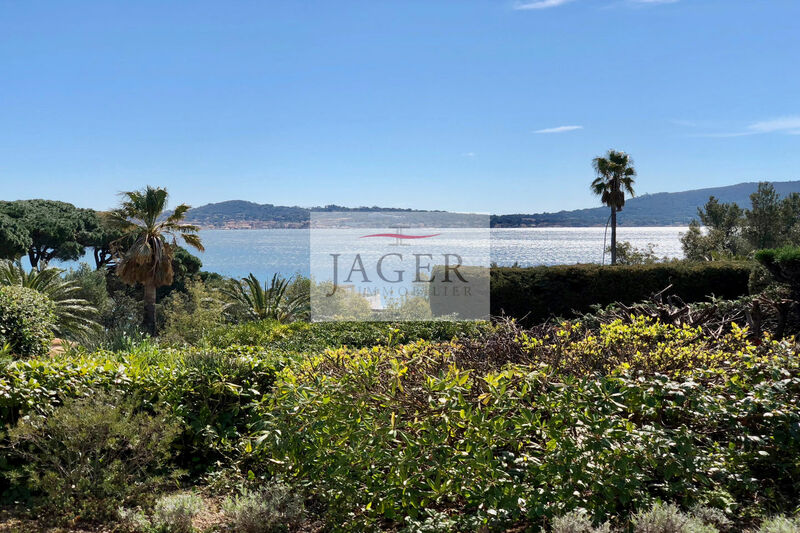 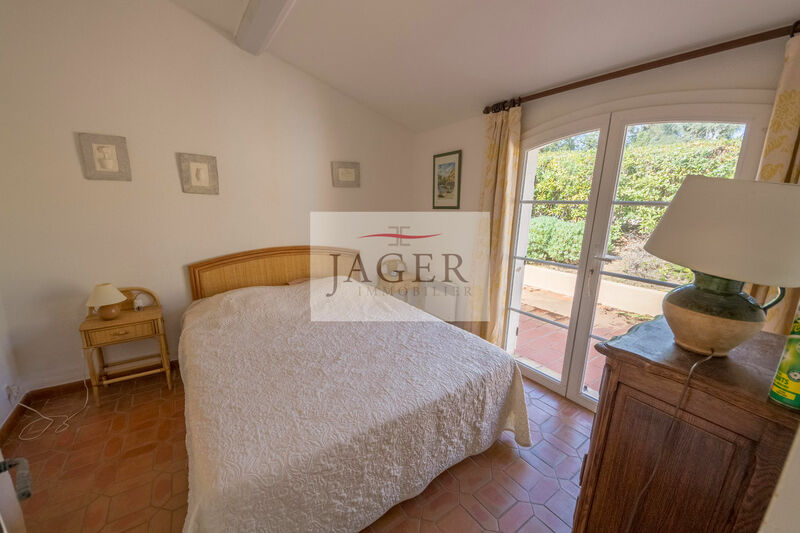 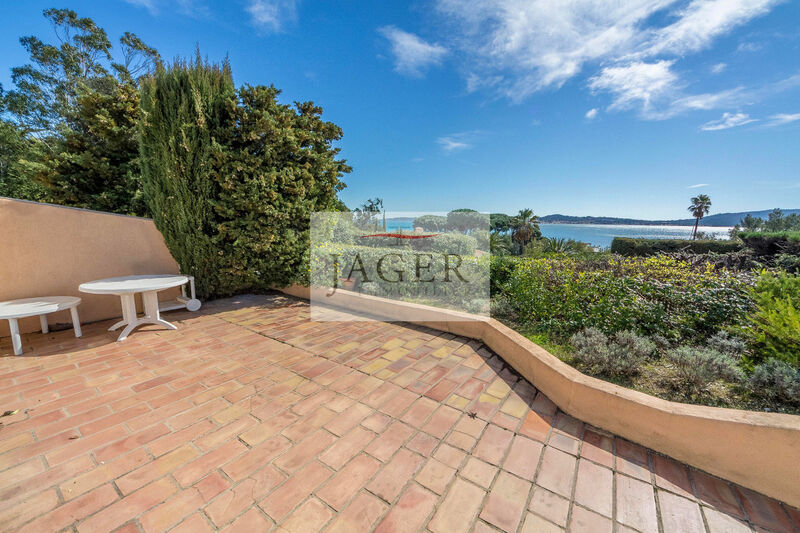 Jager real estate offers in the immediate vicinity of golf de beauvallon, a charming house of 55 m2 with sea view on a plot of 350 m2, in a small secure domain with guardian facing saint-tropez. 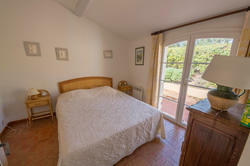 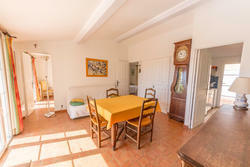 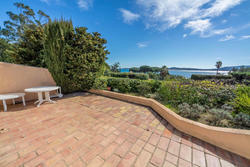 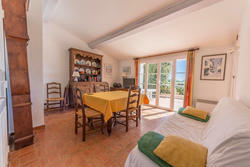 - an independent kitchen equipped with space laundry / cellar outside direct. 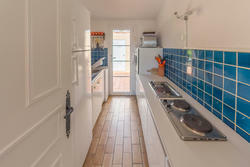 - 2 bedrooms with closet. 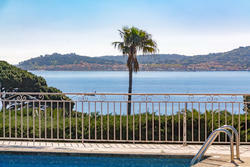 the master having the view on the sea. 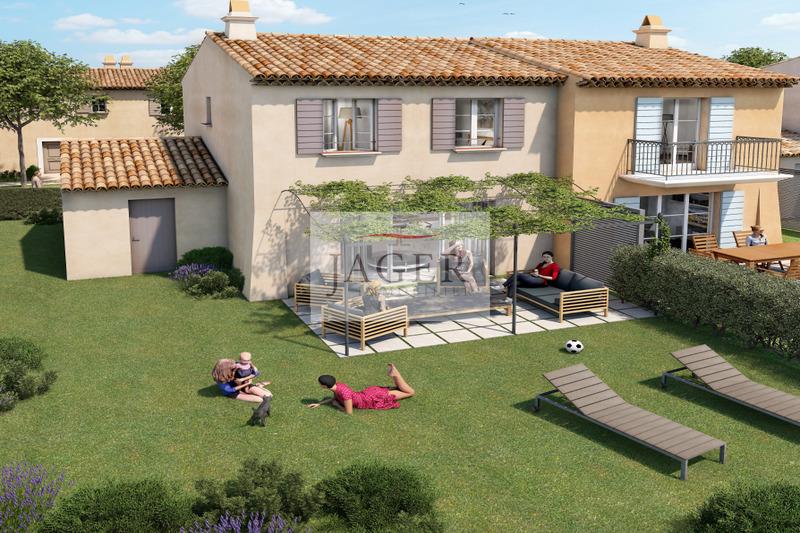 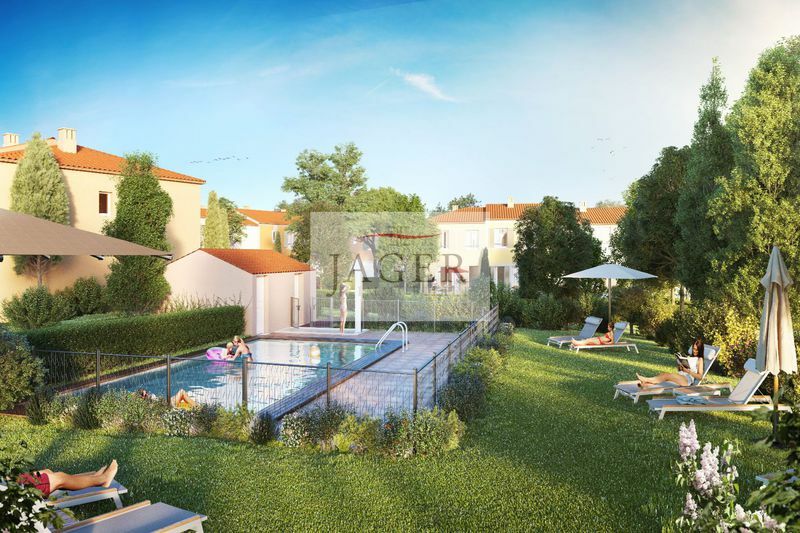 the exteriors consist of large terraces all around the house with BBQ area and summer kitchen. 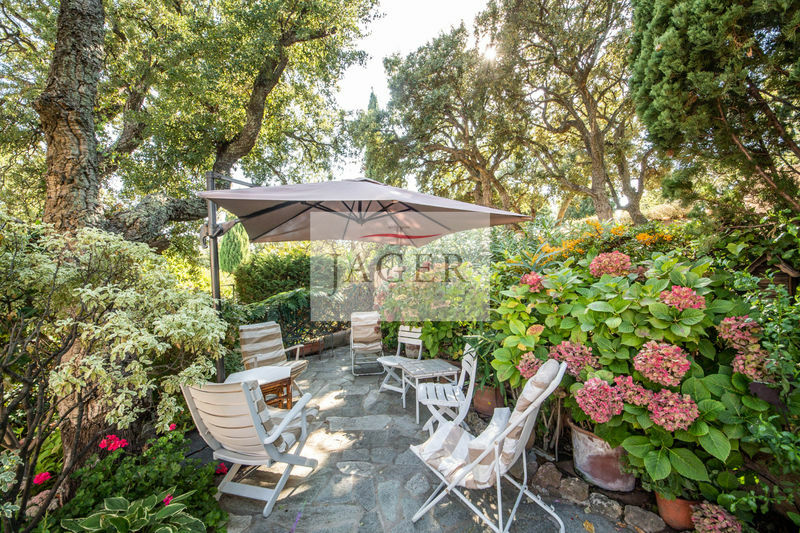 garden space in pleasure. 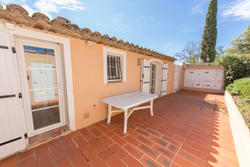 house very well maintained, the facade has been completely redone.